It was Shkodran Mustafi who headed the Gunners ahead after 12 minutes from an Aaron Ramsey corner. 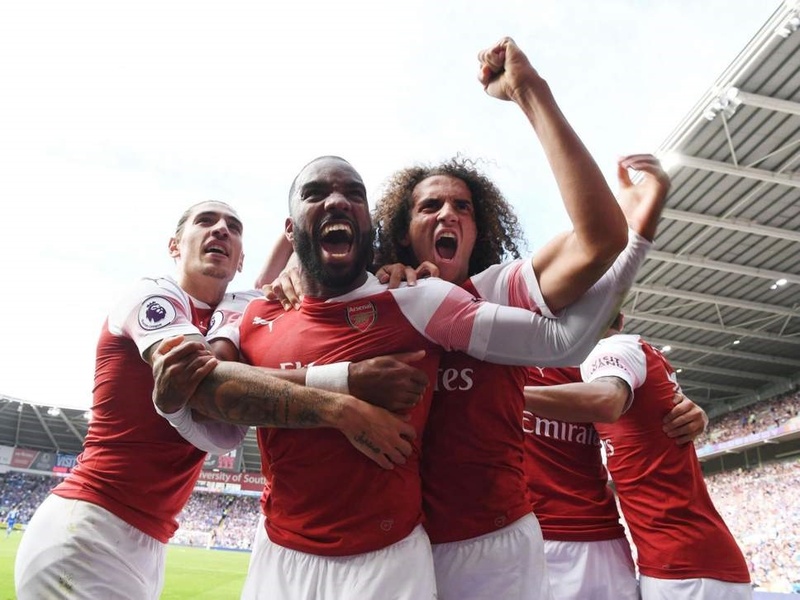 After a slow start to the season, things are gradually looking up nicely for Arsenal as the Gunners battled to 2-3 win over Cardiff City on Sunday in their Premier League clash. Alexandre Lacazette scored the winner as the Gunners made it back-to-back Premier League victories with a 3-2 success away to Cardiff City on Sunday afternoon. Cardiff twice came from behind to level the scores, but Lacazette's 81st-minute strike proved enough for the Gunners to collect all three points from Wales. The hosts got back on level terms when Víctor Camarasa turned Joe Bennett's cross home at the second attempt in first-half injury-time. But Unai Emery's first away success was secured nine minutes from time when Lacazette fired a rocket of a shot inside Neil Etheridge's near post.